Telephone coaching for Wisconsin tobacco users who want to quit. This consists of one individualized coaching and support call. Callers will receive personalized advice on how to quit, information on medications, and assistance with choosing a quit date and creating a quit plan. Wisconsin residents may call the Quit Line back as often as they like. Two weeks of free medication (nicotine patch, nicotine gum or nicotine lozenge) and self-help materials. A secure Web Coach where tobacco users can interact with others trying to quit, get support, develop personalized quit plans and track results. Information for those concerned about a tobacco user. The Quit Line has fielded hundreds of thousands of calls since May 1, 2001. About half of callers are either underinsured or Medicaid recipients. 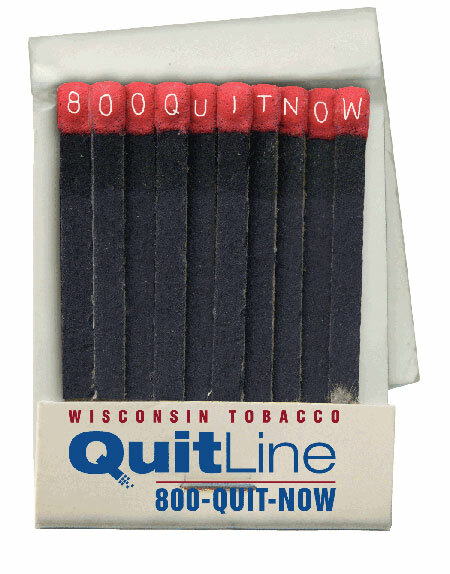 The Quit Line is managed by the University of Wisconsin Center for Tobacco Research and Intervention (UW-CTRI). It is funded by the Wisconsin Department of Health Services.